Today, the printing industry is not an example of environmental efficiency: most of the printers and cartridges are designed to last the shortest time, so that the customer buys new products as soon as possible. 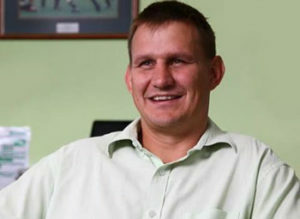 In South Africa, Greenoffice collects all the cartridges used by different organizations all across the country, and remanufacture them to put them back into the market. In 2011, an NGO was created to recycle all the cartridges that cannot be remanufactured. This is a way to employ disabled people while having a positive impact for the environment. Wayne Fyvie, a former professional rugby player who is at the origin of Greenoffice, helps us to understand his model. “I saw an opportunity where we could save someone’s money and we could make some money. We could help ourselves and in the same time be able to help other people. We really want to add value to people. You had the idea when you were a professional rugby player. How did it come through your mind? “Today, Greenoffice is a managed print service company, with different components. 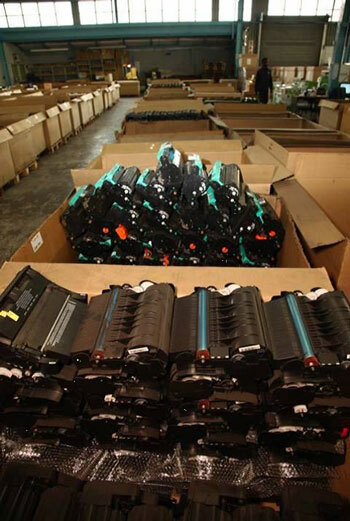 At the beginning, it was only the collections and supply of remanufactured cartridges. Our core focus in that space is to supply the retail sector: stores, banks, and the government. Then, we developed managed print service, where we take over a person’s printing environment. We developed a programme to analyze people’s printing and which comes back with a cost-saving and management model. You also launched in 2011 an NGO called Greenable. Could you explain us what is it? “We are ‘Greenoffice’, and our philosophy is about changing the world, so we have to behave in a manner that is accustomed to that change. Out of all the cartridges that we couldn’t remanufacture, a whole range was going into the landfill. We just felt that it was not the right thing to do. The plastic and the aluminium inside the cartridge have value, so now we make sure that those are recycled thanks to our non-profit company called Greenable. It is also an employment incubator which trains disabled people who don’t have a matric to better themselves through the recycling work. Can you give three words to describe the spirit of Greenoffice? “Passion, humility, integrity. At the moment, the world is a sick place and we want all our people to behave in that manner. What was the biggest challenge since the beginning? “Our biggest challenge currently is to educate the customers about what is the difference between manage print service and cost per copy. I also think that it is our biggest opportunity, because when we show the value that we bring to people, the doors open by themselves. “Our business philosophy is to make people grow in a place where they want to grow. So, we challenge people all the time to take risks. The advice that I can give to young entrepreneurs is ‘take risks’! Through that risk you will fail, but never give up. You learn a lot through failure. I am a very passionate South African, and I believe in our country. I hope that South Africans have the same belief that I have, and I encourage people from overseas to come and visit us!